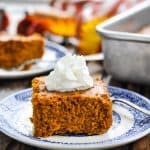 With just 2 ingredients and about 5 minutes you can make a delicious and moist Pumpkin Gingerbread cake that's perfect for the holiday season! 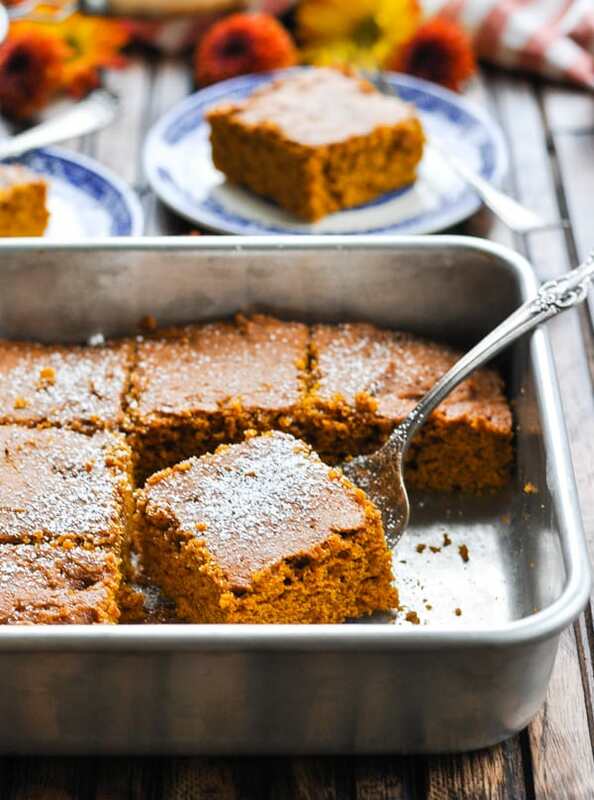 With just 2 ingredients and about 5 minutes you can make a delicious and moist Pumpkin Gingerbread! That’s right — the BEST gingerbread cake starts with a cake mix, and it’s perfect for brunch or dessert! One of the easiest and most-loved recipes on my blog is my 2-Ingredient Pumpkin Muffins. I have friends and family who make those little gems ALL THE TIME and rave about them regularly. I have also been known to send batches of the muffins to school parties and I have watched them be devoured by preschoolers. The Easiest Pumpkin Gingerbread Cake! So, since I knew the 2-ingredient method was a winner, I decided to give it a try in the form of a gingerbread cake. I adore gingerbread, but I don’t always adore spending a lot of time in my kitchen to bake something from scratch. When I stirred this together on a recent Saturday morning and it turned out so well, I knew that I couldn’t keep it a secret! Enjoy it for breakfast with some coffee during the week, grab a slice as a quick afternoon snack, or spoil dinner guests with a slice of gingerbread and ice cream for dessert. No matter when (or how) you enjoy it, I know that it will be a hit! 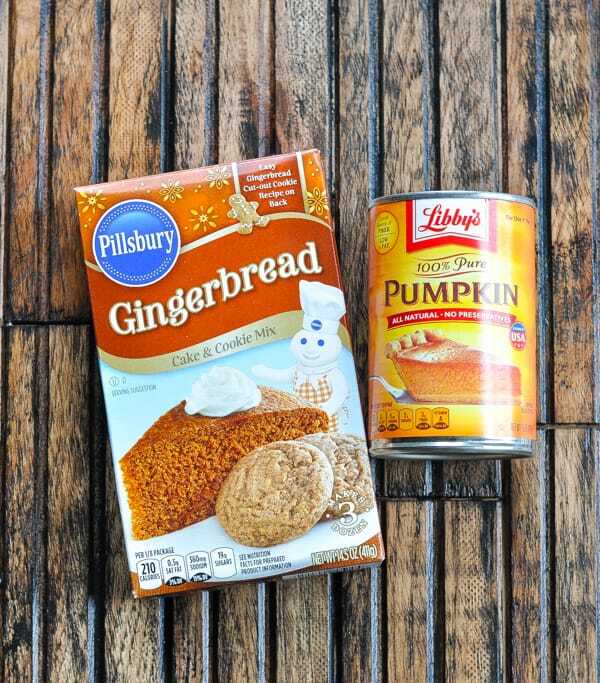 First, let’s start with the two simple ingredients: a box of Gingerbread cake mix + canned pumpkin puree. Place the two ingredients in a large mixing bowl. That’s it! No eggs, no oil, no butter…nothing else! Use an electric mixer to whip up a thick, fluffy batter. This can be done with a wooden spoon by hand, but I find that it’s much smoother and easier with the handheld mixer. Spread the batter in a baking dish, pop it in the oven for about 25 minutes, and you’ve got a moist Gingerbread Cake to enjoy with your next cup of coffee! 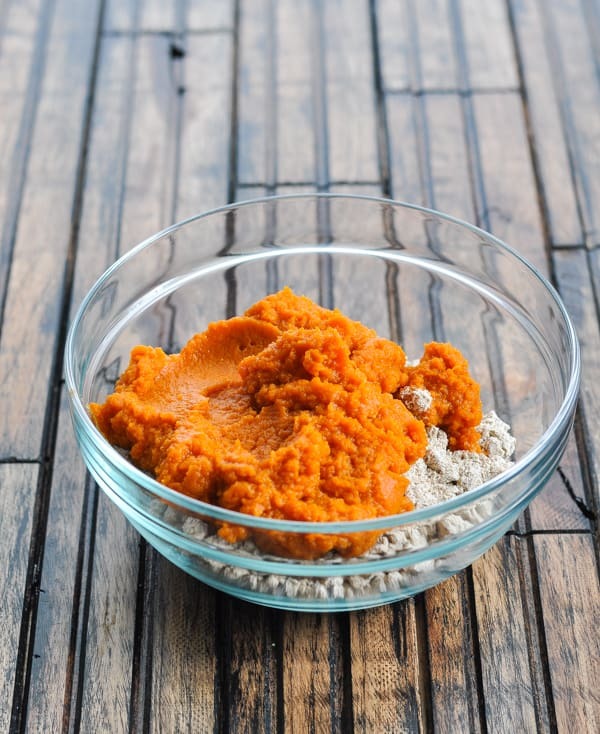 Make sure that you use plain, unsweetened, canned pumpkin puree (NOT canned pumpkin pie filling). Do NOT use any of the additional ingredients called for on the box of cake mix. You only need the dry mix! Allow the cake to cool entirely before dusting with powdered sugar or topping with whipped cream or ice cream. 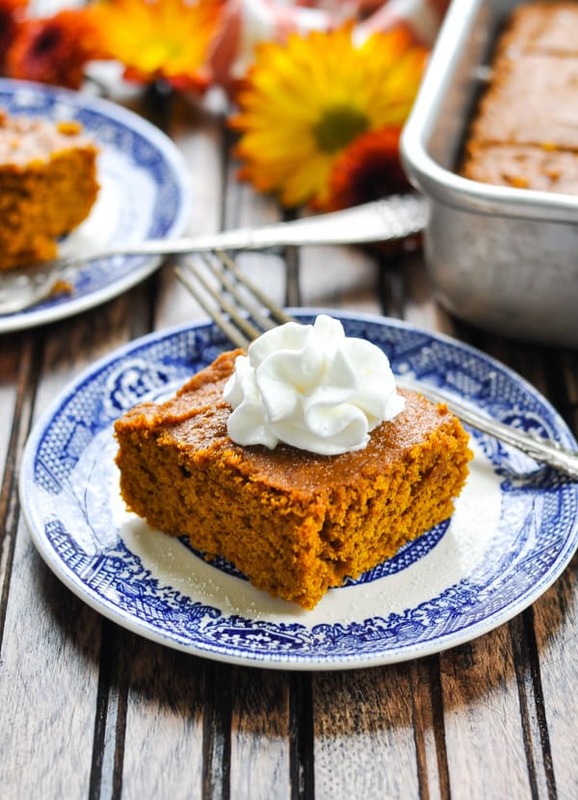 This Pumpkin Gingerbread freezes well! Bake a pan, cool completely, and then wrap tightly and freeze. You can freeze individual slices, too! Then just reheat in the microwave or allow to thaw on the counter before serving. 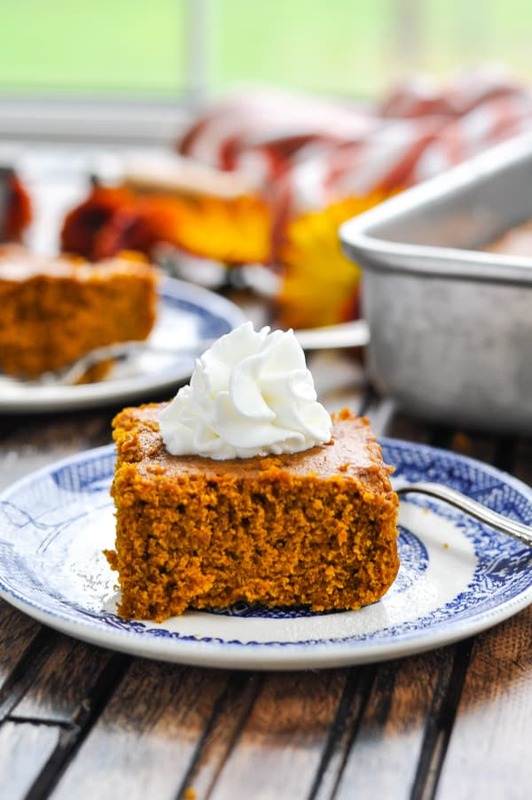 In a large bowl, combine dry gingerbread mix and pumpkin with an electric mixer on medium speed for 1-2 minutes, or until a thick, fluffy batter forms. Spread batter in a round cake pan or in an 8-inch square baking pan that has been sprayed with cooking spray. Cool cake on a wire rack before slicing and serving. Dust with powdered sugar or top with whipped cream, if desired, once completely cool. I love this two ingredient cake, Blair! 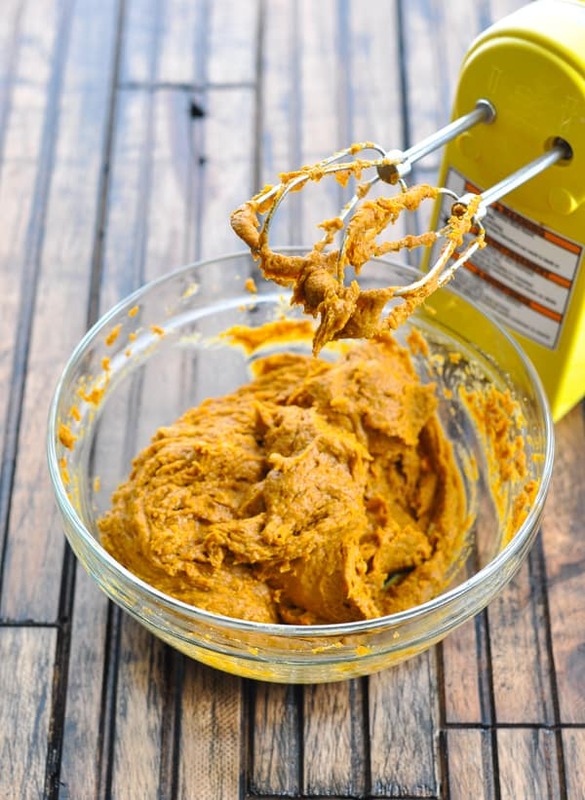 Such a great idea to add pumpkin to a cake mix. I bet this tastes amazing right out of the oven. And you just can’t get any easier (or more delicious) than this! This looks incredibly delicious! 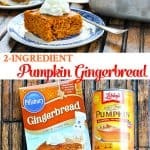 I seriously cannot believe it’s made with just gingerbread mix and pumpkin! Amazing! I’ve gotta try this!! Pinned! ha, genius! i am going to see if there is a GF gingerbread mix! there’s got to be, right? Blair this recipe is brilliant. I am with Lindsay , going to see if I can find a gluten free gingerbread mix. I am having out of town guests and this sounds like a fun one ne to have hot of the oven in the am. I hope that you can find one! I know that there’s a vegan gingerbread mix by Hodgson Mill, but I haven’t looked for gluten-free yet! No way! That’s it?! 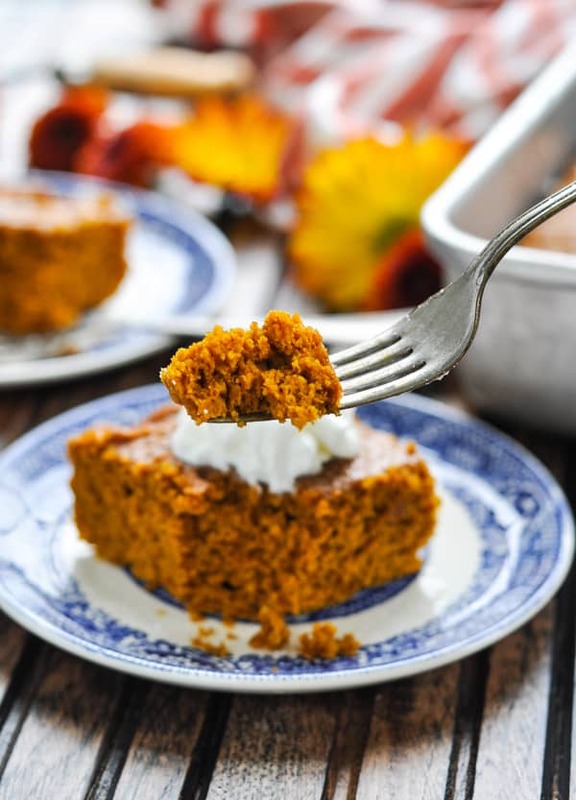 I love love love spiced cakes in the fall. Pumpkin AND gingerbread flavors are my fav!!! Great recipe! Just getting ready to put this together but I don’t see an oven temp? I think I’ll just go with 350? Hi, Gina! Duh — so sorry that I left out that detail in the recipe! You’re right — 350 degrees is what I use. Enjoy! I will update the recipe as soon as possible.? Do I grease the pan before pouring the batter in? It sounds delicious. I think I’ll be picking up the ingredients tomorrow. Hi, Vicky! Yes, I would be safe and grease the pan. You don’t want to have to worry about whether or not you can get it out. 🙂 I hope that you love it! Ever try making it in a loaf pan? how would you adjust the cooking time? thanks! Looks delicious! I’ll definitely be making this soon. Thank you!